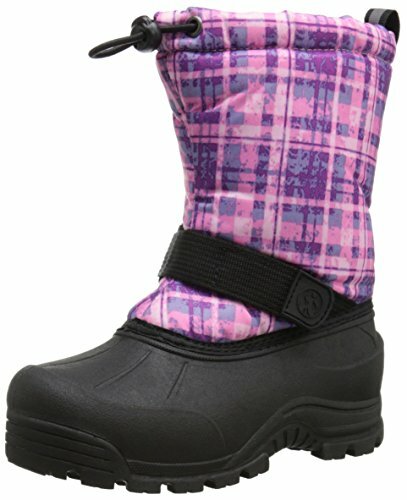 Fun styles to keep feet warm and dry. - 200 gram Thermolite Insulation; Heavyweight fleece lining; Waterproof, lightweight TPR outsole; Rated to -25 degrees F; Nylon uppers with adjustable hook-and-loop strap; Elastic toggle collar; Imported; Uppers: Nylon; Height: 8"; Weight: 10 oz. ; Mfg. Number: 911312.